Intel's Senior Vice President Anand Chandrasekher has retracted comments from elsewhere in the company that Apple's ARM processor is not fit for purpose. There was widespread mirth when comments emerged from Intel's developer conference in Taipei that suggested Apple made a mistake by not going with Intel's products. But Chandrasekher has moved to stop the argument before it even gets started, by insisting on the company's Chip Shots blog that the statements from Taiwan were 'inappropriate'. "Anand Chandrasekher issued a correction on comments made by members of his team yesterday at Intel's Developer Forum in Taiwan," reads the post. 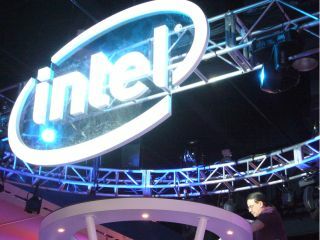 "As general manager of the Group responsible for Intel's ultra-mobility products, he acknowledged that Intel's low-power Atom processor does not yet match the battery life characteristics of the ARM processor in a phone form factor; and, that while Intel does have plans on the books to get us to be competitive in the ultra low power domain - we are not there as yet. "Secondly, Apple's iPhone offering is an extremely innovative product that enables new and exciting market opportunities. The statements made in Taiwan were inappropriate, and Intel representatives should not have been commenting on specific customer designs." Intel and Apple's relationship has been under scrutiny recently after the latter's decision to make its own way in mobile processors rather than go with the world's largest chip manufacturer. However, Intel chips are now in Macs, and the companies will no doubt be keen to keep any discussions out of the public domain.